Blue Moon | Zonyxa. Unique and contemporary jewellery for Work. Love. Play. This deceptively simple necklace showcases the harmonious and natural colours of prehnite. 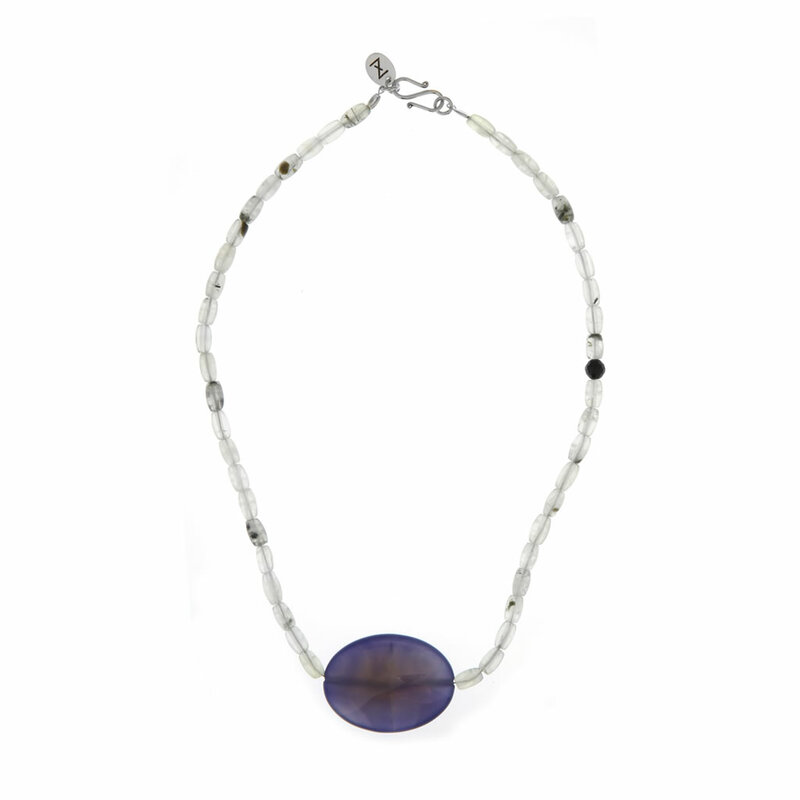 Accented with a rich blue agate pendant, smooth against the skin. It’s suitable for formal or business outfits. Materials: Prehnite and agate necklace.